With the end of the year come year-end lists, talk about favorite anime, favorite seasons, and the like. But, in all the flurry of closing out the old year and moving into the new, it can be easy to forget some of the smaller things that made the previous year what is was. This post is dedicated to those small things. The individual efforts, the little pieces of goodness, the solitary shining spots. Another week, another really good episode from selector infected WIXOSS. 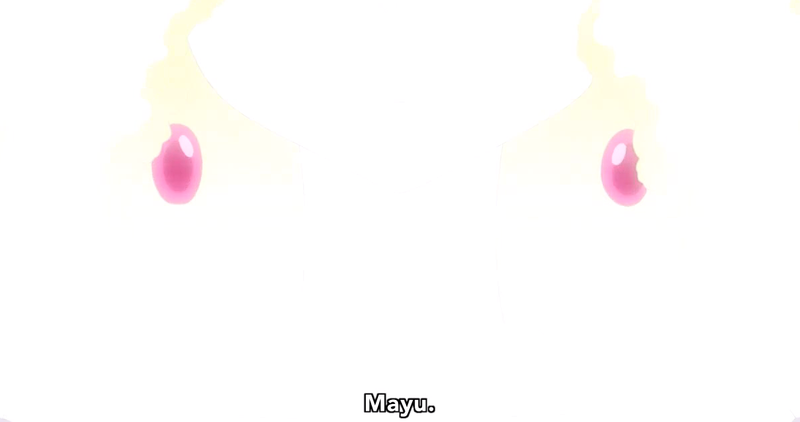 Have I said enough times how pleased I am that WIXOSS is turning out to be good? Suddenly, we’ve moved from having characters that are essentially faceless to characters with defined personalities and desires, and character growth happening all over the freaking show. Man, stuff like that gets me excited to watch a show. And WIXOSS is now at the level where I wait to watch it when I’m not exhausted, because I want to have the best experience I can. 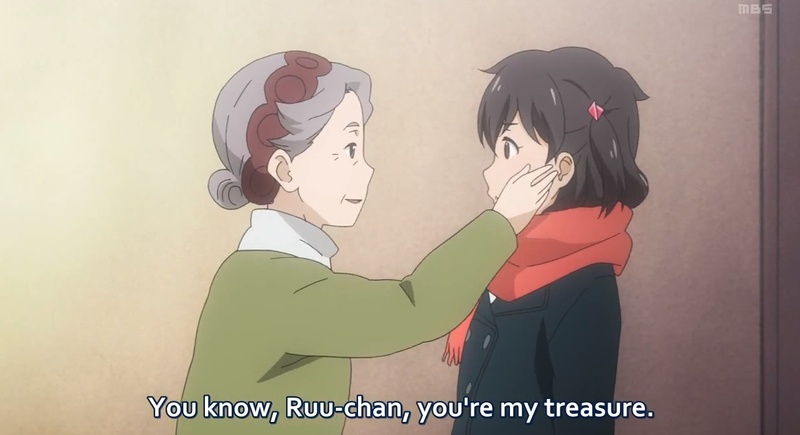 It doesn’t really fit into anything else I want to talk about, but this was such a lovely moment between Ruko and her grandma. If you had asked me after week 4 which anime would be the most consistent through the rest of the season, I probably would have told you Ping Pong, and I would have been right. 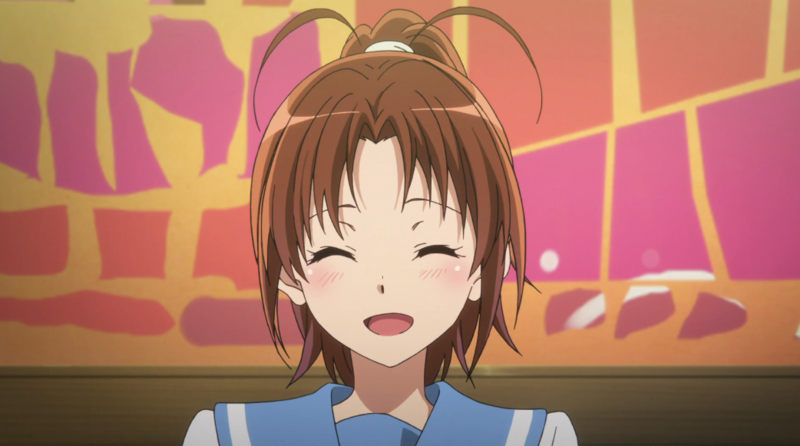 If you had asked me after week 4 which anime would show the most improvement over the next six weeks, I would not have said selector infected WIXOSS, and I would have been wrong. I am genuinely impressed with WIXOSS currently, and it has done a ton to restore my faith in Mari Okada’s skills after Nagi no Asukara went off the tracks in its second cour. For a long time, WIXOSS has essentially just been running on having a twisted plot and a foreboding atmosphere, and that’s been enough to keep me interested. Now, though, Okada is starting to weave in some truly fascinating character threads and is slowly deepening both the characters and the pit into which they are descending.